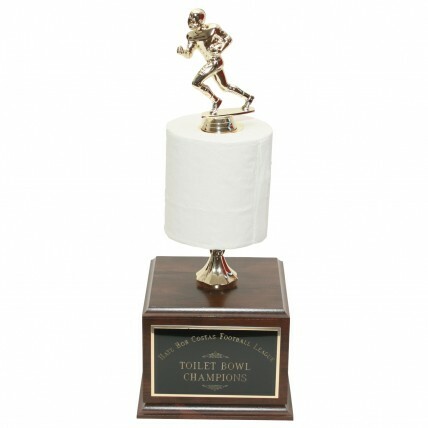 Keep your league laughing for years with the Perpetual Football Toilet Paper Trophy! This funny trophy features a golden quarterback figure attached to a roll of 2-ply toilet paper. This is mounted on a simulated wood base that will hold your engraving. Front plate engraving is complimentary. 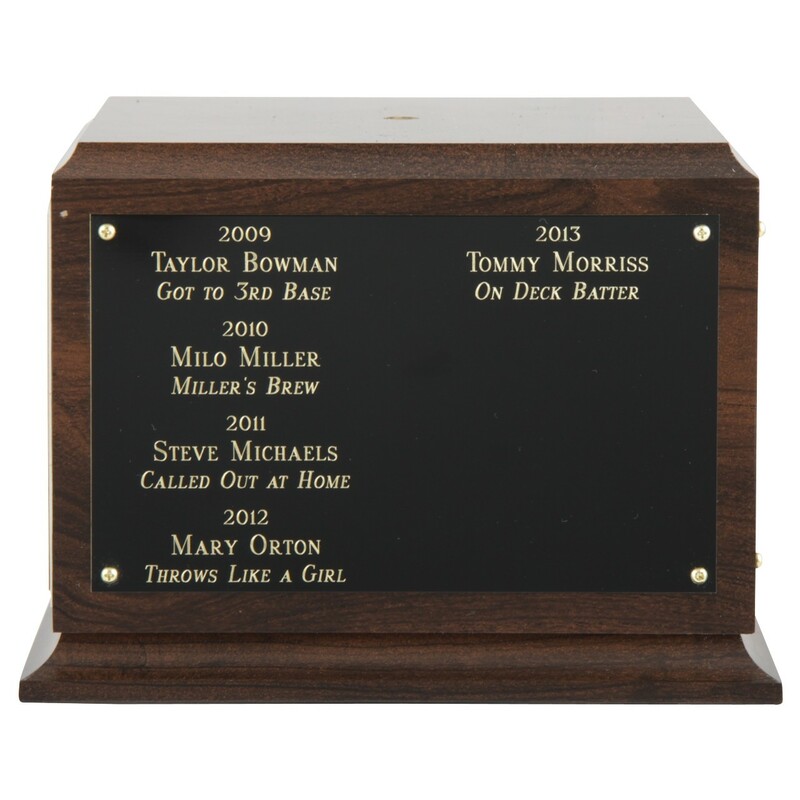 Additional winners can be engraved on the optional remaining 3 side plates.